sisu: Look, Ma, new lands! Look, Ma, new lands! 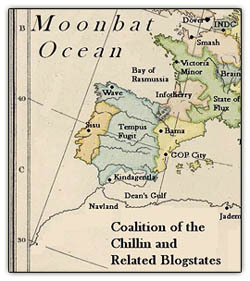 In a peaceful transfer of power, Portugal will now be known as Sisu, according this new map of the "Coalition of the Chillin' and Related Blogstates" by The Commissar of The Politburo Diktat. In the Middle years of blog history, in the times emerging from the Dark Age, the flame of rational discourse and inquiry was re-kindled in the civilized blog-states. Squeezed precariously between the storms of the Moonbat Ocean on one side and the rampaging Wingnut Hordes on the other, frequently subject to excommunication from the Orthodoxy, as the worst of all heretics, "Compromisers," the Coalition of the Chillin' [blogged here] arose. 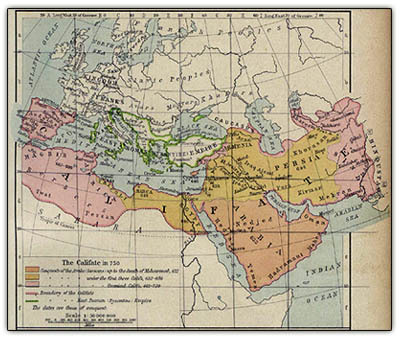 The countries left uncoloured were inhabited by Mohammedans and other non-Christians. 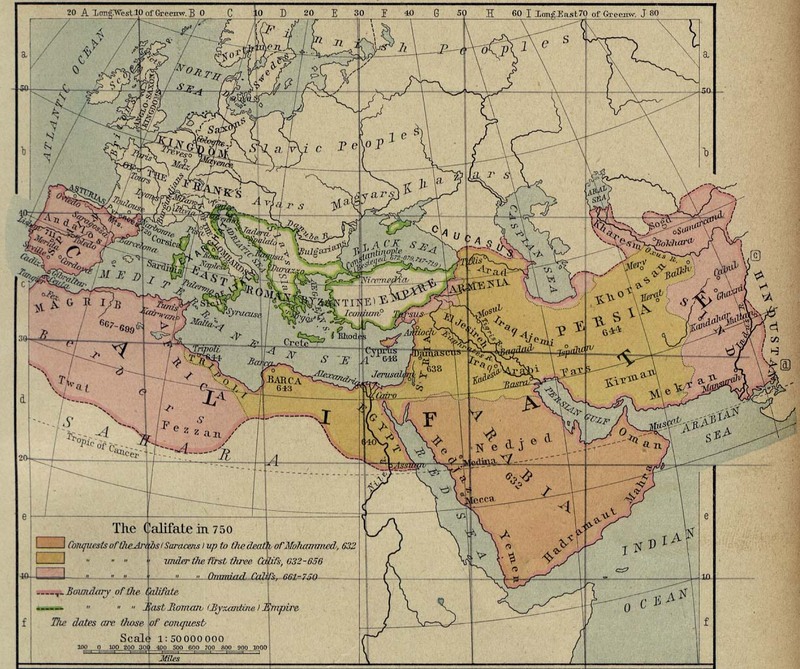 In this map of "The Califate in 750," modern-day Sisu (Portugal in the 15th century) was part of the Califate known as Andalusia (Andalos). 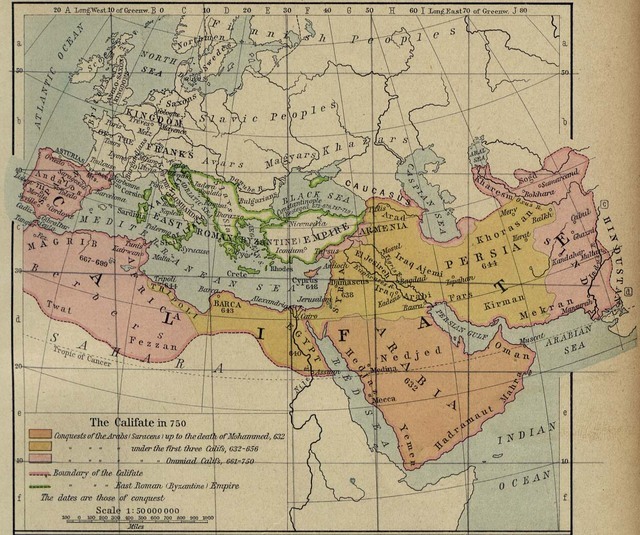 According to the legend, peach, yellow and pink areas represent successive waves of "Conquests of the Arabs (Saracens)," with darker pink marking the boundary of the Califate in 750. 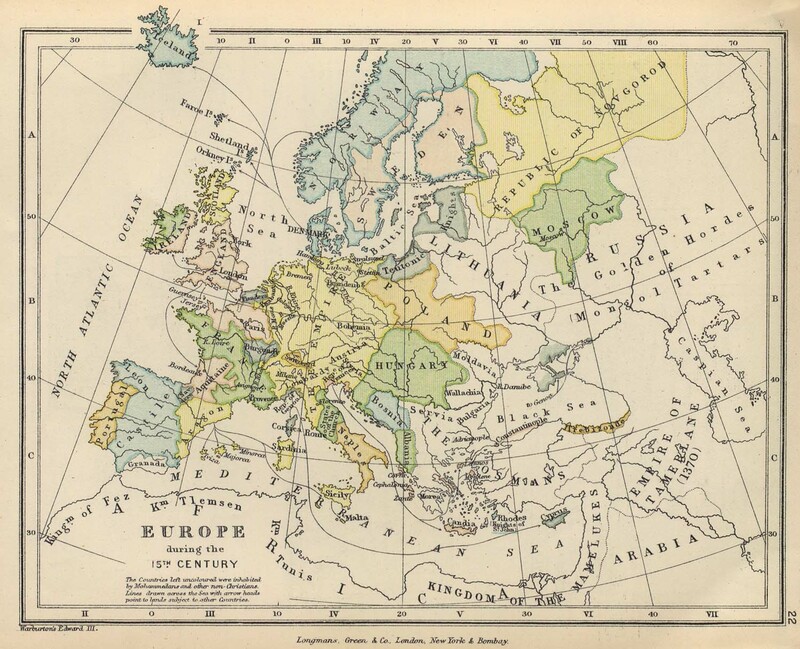 Maps give us a sense of our place in the universe. We get a warm, fuzzy feeling from the Commissar's portrayal of Portugal as Sisu in a Europe dominated by the Coalition of the Chillin' blogs, of course, but out there in the land of the Wingnut Hordes to the east, the Osamas of this world are carrying around fantasies of a 1255-year-old map that makes our blood run cold. Great post. I missed the footnote. I would like to join this coalition. Please leave a message on my site telling me how. Just click on my name and it will take you there. I am glad to see you are on the map. I love his maps. They are of beauty. Probably my childhood dream of looking down upon it all. A snippet from the box tonight: a 1507 map by Martin Waldseemüller, the first to name the New World America, sold for $1,000,000. Semi OT: One of us should be getting more respect from Amazon. You're selling me about a book a day. I don't expect things to keep on changing as rapidly as they are today. On a different matter, you conveyed your ideas in a very original way, you really love maps don't you. the Moonbat Ocean on one side and the rampaging Wingnut Hordes on the other, frequently subject to excommunication from the Orthodoxy, as the worst of all heretics, "Compromisers," the Coalition of the Chillin' [blogged here] arose.